David S. Katz is Director of the Lessing Institute for European History and Civilization at Tel Aviv University, Israel where he has taught since 1978. He also holds the Abraham Horodisch Chair for the History of Books. Introduction: Bag and Baggage.- 1. Edward Gibbon's Eastern Question, 1776-1788.- 2. Lord Byron, Turkophile, and his Grand Tour to the East, 1809-1811.- 3. Disraeli's Eastern Career, 1830-1854.- 4. 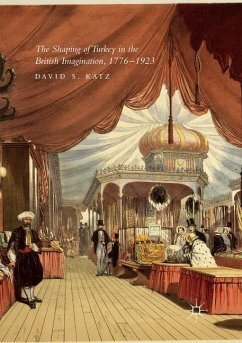 Disraeli, the Bulgarian Horrors, and the Reorientation of the Ottoman Empire, 1854-1880.- 5. Greenmantle at the Ministry of Information: John Buchan, the First World War and the Turks.- 6. Arnold Toynbee on the Quai at Smyrna, 1921-2.- 7. Ernest Hemingway on the Quai at Smyrna, 1921-2.- Conclusion: Turkey-in-Europe; Turkey-in-Asia; Turkey-in-Britain.